This side dish made with garbanzo beans, carrots and onion takes just over 20 minutes to prepare if you already have the guajillo chile salsa prepared. 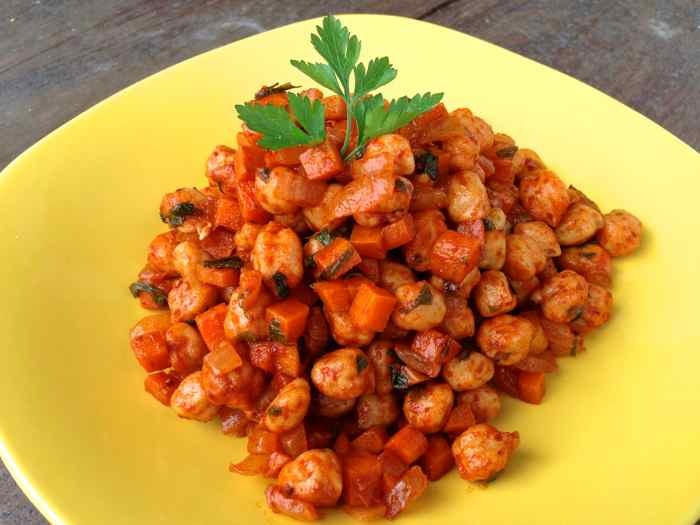 Garbanzos and guajillo chiles are a great combination, packed with flavor but not too spicy. It is delicious served hot or cold. Garbanzo Beans, Carrots and Onion In a Guajillo chile sauce. Where is the actual recipe? ?